We believe that health, physical condition and mental balance are the bottom line for the quality of life. And these attributes are to a great extent based on skills that can be taught. We believe that the work of members of the public safety organisations significantly stresses the human body at both the physical and mental levels. We do our best for you to want and to know how to take care of your good physical and mental shape. Within our educational activities, we offer the effective and efficient training program for health and functional physical condition, stress-management techniques, relaxation and physical and mental toughness training. We strive to show you why to take care of your health and condition and how to do it. In what areas does Optima help and what does it provide? We provide simple, effective and easy-to-use procedures with a direct link to everyday reality and work responsibilities. The exercises are easily accessible in everyday life – teachable quickly, with little demands of time or equipment. We want you to profit from these exercises in your professional and personal life, whether you work in the field or in the office. Optima works with the body, mind and “heart” as a functional whole. We emphasise the necessity of balance between exercise, nutrition, relaxation and mental wellbeing. 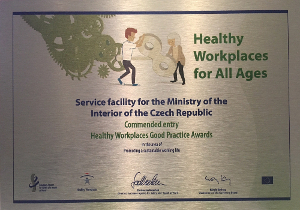 The Optima project is recommended by the European Agency for Safety and Health at Work and has been recognised by the Ministry of Labour and Social Affairs as the best in the Czech Republic in the area of caring for employees’ health (Healthy Workplaces Good Practice Awards 2016–2017). More than 100 courses (more than 1,500 people) for members of the public safety organisations of the Czech Republic including elite units. 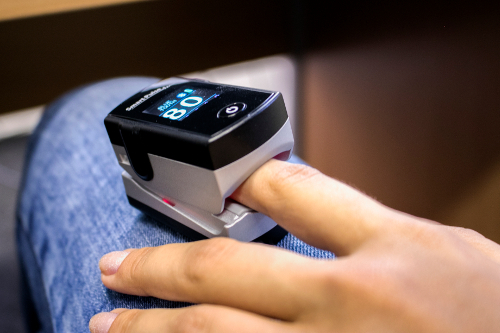 How and where does Optima work for you? Optima is implemented by the Department of Specialised Methodology of the Service Facilities for the Ministry of the Interior, which will be located on the premises of the Olymp Sport Centre of the Ministry of the Interior from May 2017. You have the possibility to familiarise yourself with this programme in connection with special courses held at Olymp, as well as in connection with your Instructional Methodological Employment and within selected periods of rehabilitative stays.